A watches primary function is to display time but what about those instances when you need something more? Those times when you need to know speed or distance? Over the years there have been many different scales available for watch lovers with the most common and I'm here to explain a few. Tachymeter - Tachy, Greek for Swift. Meter, Greek for Measure. The most ubiquitous of all the measurement scales, the tachymeter/tachometer is seen on watches from all brands and at all prices. You'll even see a tachymetre on watches that don't have chronograph functions/central second hand which shows just how universal it and how it is forever tied to the chronograph complication. The tachymetre allows the wearer to know the average speed in which they are travelling over a fixed distance. Like with all of these different types of measurement scale, all you really need to know how to do is use a chronograph. Start with the chronograph at zero and activate it when you pass the first distance marker then stopping it once you pass the second. Then by reading off the central second hand to the scale you will see the average speed per hour in that unit. 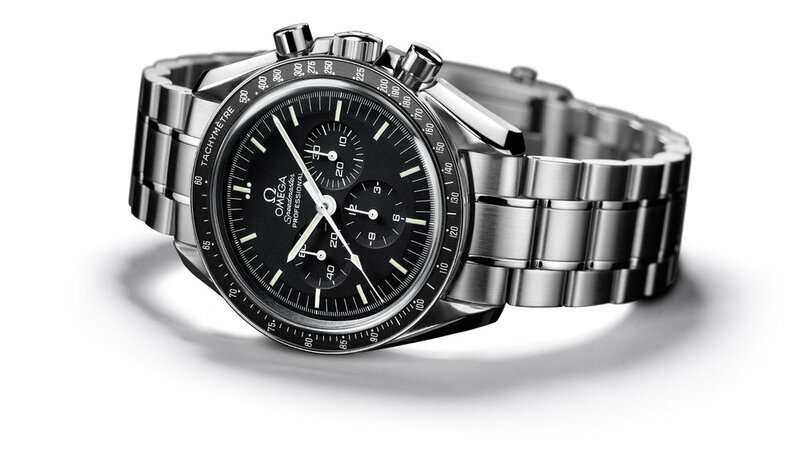 For example if you were timing using the Omega Speedmaster, a watch originally designed for Italian motorsport not space flight, and you took thirty seconds to travel one mile, you would be travelling at an average of 120 miles per hour. The design of the scale is fairly standard however it is more common to see a dedicated tachy bezel on more modern pieces and have the scale printed on the dial itself for older watches. It is a unifying addition on watches that can be seen from dedicated sports timers like the Omega Speedmaster or Rolex Daytona to the dress chronograph of a Patek Philippe. There can be slightly differences in the starting position of the scales with the Daytona starting at 3 o'clock with the maximum speed of 200mph and going down to 50mph, 10mph more than the Speedmaster and most tachymeters. Something important to note is that the numbers on the dial are typically not calibrated for a specific unit of measurement, they measure abstract units rather than set distances. As long as the wearer knows they are travelling one mile, one kilometer or one furlong, the watch will be able to tell you how many of those distances you will be travelling in one hour. There have been instances of brands adding either kilometer or miles to a dial and then making two versions. I would think this is less to do with ignorance of the use of a tachymeter and more to do with localisation the watch to a specific region and the commonly used unit of measurement for distance. At a Longines training several years ago, I was told that the original use for the tachymeter was to measure the productivity of workers. For example, you know that Emile can polish one watch case every 90 seconds. However the tachymeter scale only goes up to sixty seconds so you do some simple maths to work out that he can polish half a watch case in 45 seconds. By stopping the central second hand at 45, we can see that over one hour, Emile would polish 72 half watch cases or 36 entire watch cases. Simple, right? Whilst I'm sure there will have been one obsessive factory manager timing every Tomas, Ricard and Harri , I sincerely doubt that this method of recording factory output was ever really used. The decimal scale is a simple alteration of the standard timing scale used on a dial or bezel. Intended to be used for industrial and scientific purposes rather than sporting, the dial is broken down into 10ths of a minute rather than 60ths. This allows the wearer to make more precise readings that are more applicable for precise timing in a controlled environment. Very often mistaken for a tachymeter, the telemeter mostly found use in the early part of the 20th Century, specifically in war time. The first use of a telemeter was by soldiers to discover how far an enemy artillery gun was stationed. The telemeter works because, light is faster than sound. By starting the chronograph when you see an event (Muzzle flash of an artillery gun), waiting and stopping it when you hear a sound (Explosion). By reading off the dial you are able to know how far away the event was and by some simply math work, you can readjust your gun accurately to return fire. Over the years the telemeter fell out of popular use, partly because bombers were the new vogue for remote bombardment, range-finding technology advanced and warfare was no longer so statically based in trenches. Eventually the telemeter was adapted for use by civilian pilots so they could gauge how far their were from an oncoming storm. There were calculations required depending on their height and other variables because the telemeter is typically calibrated for the speed of sound at sea level, 340 meters a second. Whilst the tachymeter is still in major use for the design for nearly all chronographs, the telemeter is relegated to vintage or heritage re-edition pieces. Longines is one of the few big companies that still makes an affordable chronograph with a telemeter dial but these are almsot always in their heritage collection though Junghans also make several heritage telemeters as well. 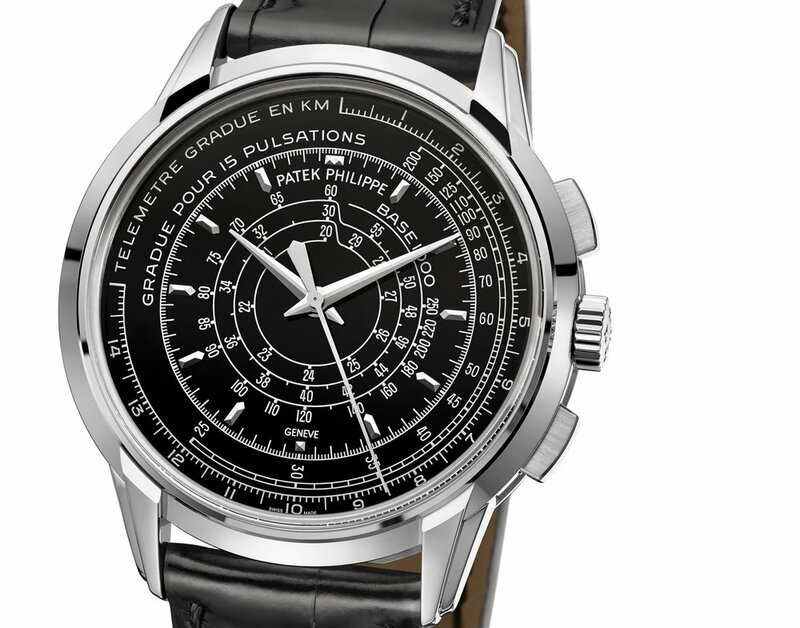 Two years ago Patek Philippe released their limited edition Multiscale chronograph to celebrate their 175th Anniversary which featured a tachymeter, telemeter and a pulsation scale (More on those later). What differentiates the Multiscale from other chronographs is the complete lack of subdials with only a central seconds hand able to record events up to sixty seconds. Also known as a Pulsometer or Pulsograph, this scale was designed for use by medical professionals to aid them in taking the pulse of a patient. The standard method is to count the pulses for fifteen seconds and then multiply that number by four which gives you their average beats per minute. The pulsation scale attempted to make things easier by removing the need for multiplication. Each scale will be calibrated to a specific number (usually 15/30) which will be written on the dial, most often in French Grande Pour 15/30 Pulsations. As the chronograph runs, you count the pulses up to the dedicated number whereby you stop the chronograph. Reading off the dial gives you their bpm without the need to multiply. Like the telemeter, it is rare to see a pulsations scale on a modern watch that doesn't cost the earth. The utterly beautiful Vacheron Constantin Harmony Chronograph costs $75,300 and is based off an earlier 1928 watch with a pulsation scale. There were two Omega Museum Limited Edition pieces that also had doctors scale on them as well, both designed to evoke the look and feel on a watch from the 1930s. The modern Sinn EZM4 is an affordable watch that not only has a pulsation scale but also a scale to aid firefighters manage oxygen levels. A thirty minute scale is very visible on the dial with the first fifteen minutes in green and the later in red. This is the amount of oxygen in a standard PSI 2250 bottle of compressed air that firefighters use. I imagine that dial and the pulsation scale is the medical equivalent of a dive watch, it's nice to have as a back up but the first glance will be to the computer, not the watch. This one starts to cross over into dedicated complication the closer and closer you get to the modern day with the tide indicator being closely linked to the regatta timer. If you'd like to learn about the most recent regatta timer from Rolex, which also happens to be the brand's first new complication in fifty years, then click here. The first tide indicator on a wristwatch was the Heuer Solunar from 1949. Requested by then esteemed sporting goods retailers Abercrombie & Fitch, the Solunar allows sailors to know the phase of the tide at a glance. The sub-dial at six o'clock is operated by the pusher at four and the different sections of the dial display low and high tide depending on the time of day. It does require prior knowledge of the tide phases but once it has been set, you won't have to look again whilst on deck. The Solunar would return in 1976 with a larger inner rotating bezel that displayed a two week period and a large rotating outer bezel that displayed high or low tide. Throw in a day date complication and you'll never be caught out on the sea again!. To learn more about how exactly the '76 Solunar was programmed, check out this article from Time and Tide Watches. 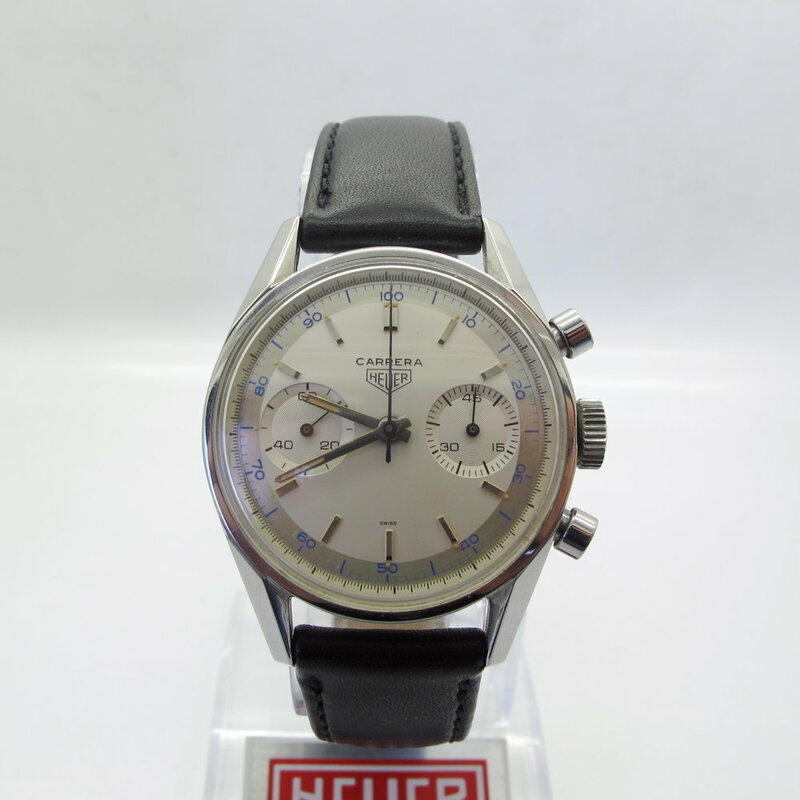 The original '49 Solunar proved so popular that a chronograph edition was made that was marketed as either the Heuer Mareograph or the Abercrombie & Fitch Seafarer. The dials at three and six o'clock were a standard chronograph minute and hour counter with the dial at nine o'clock having the same rotating disc as the '49 Solunar. Once it was set correctly using a push piece at nine o'clock the disc rotated and displayed the tides. These are just a few of the different scales that watches have used to record or display something other than the time. I'm sure there are many others that I haven't come across that have more niche uses like a dial that was specifically for cinematographers using 16mm film but I decided to focus on the basics today. I chose not to discuss the slide rule seen on the Breitling Navitimer or the Heuer Calculator simply because they are mostly independent from the chronograph function of the watch. Maybe next time? If you would like to receive weekly updates on all articles published to the site then t sign up to the Timepiece Chronicle newsletter.